Here's a cute, unique repeating spoonbill silhouette pattern. 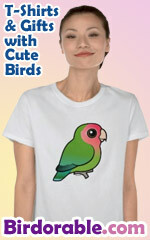 Great for birders and budding birdwatchers. Who doesn't love spoonbills, the graceful wading bird with the utensil-shaped beak?